August 27, 2013 – Ankara, Turkey – The Honourable Ed Fast, Minister of International Trade, meets with Ahmet Kaya, Chair of the Board of the Termikel Group, one of Turkey’s largest businesses, which comprises 18 companies across a spectrum of sectors. Minister Fast congratulated Termikel on its recent joint venture with iBoard Canada Manufacturing, which will bring iBoard’s award-winning interactive whiteboard products to Turkey to help the country’s teachers create completely interactive classrooms. The iBoard-Termikel joint venture will foster the development of a Turkish-made interactive board using Canadian intellectual property owned by iBoard. This initiative will meet the requirements of the Turkish Ministry of Transport, Maritime and Communications’ Fatih [movement to increase opportunities and technology] project. The project’s five-year goal is to equip every K-12 classroom in Turkey with an interactive board and every student with an electronic tablet—with both devices running government-sponsored content software—for a total of 580,000 interactive boards and 15 million tablets. iBoard, based in Victoria, British Columbia, has offices in Canada, Mexico, Colombia, Ecuador and Turkey. IBoard’s intellectual property is currently registered in 57 countries. 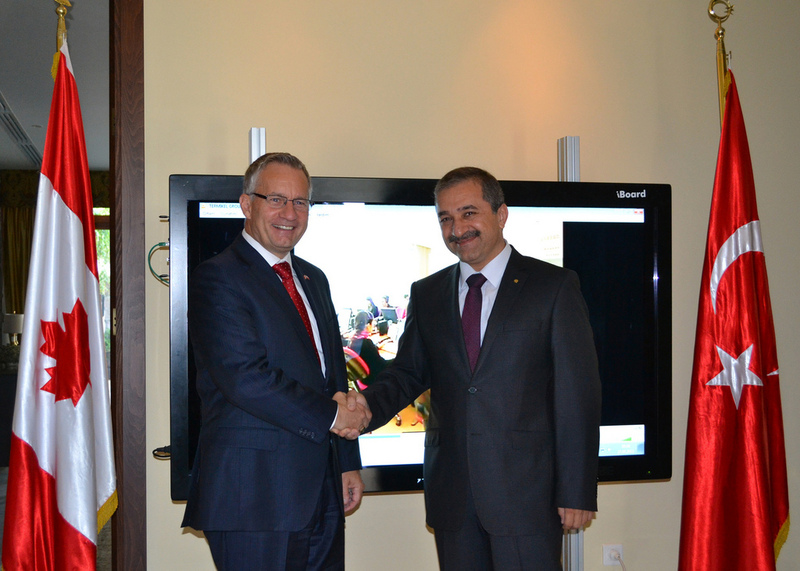 Minister Fast also encouraged further partnership between Termikel and Canadian information and communications technology companies, which would increase prosperity and create jobs in both Turkey and Canada. Canadian companies are recognized as world leaders in innovation and are supported by world-leading R & D infrastructure, innovation incentives and scientific talent. Canada has one of the most generous R & D tax-incentive programs in the industrialized world—programs that can save firms up to 30 cents on every dollar invested in R & D in Canada. Minister Fast is on a five-day visit to Kuwait, Turkey and Saudi Arabia to advance the interests of Canadian businesses in those countries.